At least two workshops, the basic seminar and play with children are prerequisites for this seminar. 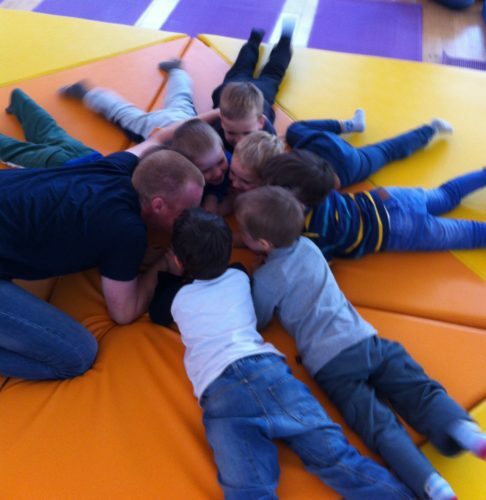 The purpose of the advanced training seminar is twofold: (1) to increase participants responsibility in a mentored and intense play experience with a variety of children in different circumstances, and (2) provide additional opportunities for persons from around Europe interested in Original Play to meet one another, share experiences, and create the potential future cooperation. There will be 8 hours of practice in different places (kindergardens, schools and schools for children with special needs). The participants will lead the playsessions with different groups of children and teenagers. There will also be 2 hours of intense discussions about all of the subjects that are connected to the practice. The goal of this seminar is to give more resposibility to the participants in the playsessions and increase their experiences.